Posted on May 18, 2012 October 16, 2016 , in Atlas Polar, Moffett. Adding to its line of impressive machinery, Atlas Polar recently introduced the brand new Moffett LR 30.3 Live Receiving forklift. A dedicated forklift for live hauling, the Moffett LR 30.3 is built for tough conditions, with a lifting capacity of 3000 kg! An equally impressive successor to the Moffett M9 truck-mounted forklift, the ‘Poultry Live’ forklift has been built specifically for the poultry industry. Offering reliable and performance, the Moffett LR 30.3 is optimized for load handling and eliminates the need for manual operation. Radically improving the efficiency of operations, the Moffett LR 30.3 can work equally well in confined spaces. The smooth operation ensures minimum damage (if any) to the product while loading or unloading. Its high life cycle and durability paired with low maintenance costs make the Moffett LR 30.3 a sound investment opportunity for live poultry shippers. The Moffett LR 30.3 is built for hard work and can haul loads safely with great agility. 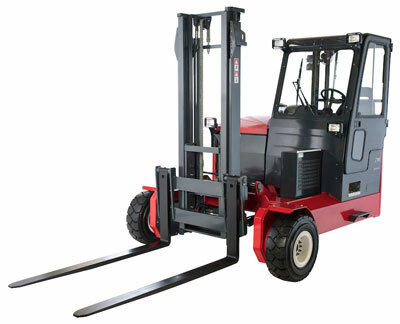 The Moffett LR30.3 forklift includes several key features such as high capacity hydraulic oil cooler for smoother operations, flat rear steer bearings for low maintenance and longevity, and a robust frame for extra strength and durability. Its streamlined operation and compact design makes it a tough workhorse.